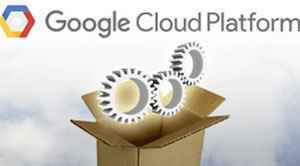 The Google Cloud Platform (GCP)—released in September 2017—was applauded by technology companies for its ability to support the development of a wide range of solutions in the IoT and smart city domain. Among them was Candi Controls, Inc.—a pioneer of control systems— that evinced interest in using the platform to build path-breaking solutions for the smart city market. In collaboration with the GCP, Candi released its own smart solution for buildings to improve energy efficiency by connecting with the HVAC infrastructure, through sensors. Employing the Google Pub/Sub terminal available in the GCP, which is the central point of access to connect all IoT apps and services, IoT developers can easily connect the devices and hence, the edge data to devices in the IoT network. The Candi platform normalizes the edge data across all the devices in the network running on different protocols to eventually reduce the cost and workload for third-party software and services. The secure and robust suite integrates well with the legacy systems, as well as the next generation protocols such as BACnet, ZigBee, Modbus, IP/Wi-Fi, Z-Wave, powerline, and so forth, thereby paving way for implementing HVAC energy monitoring or submetering. The IoT gateways of Candi use PowerTools software, built into Intel BMP and other low-cost IoT components to manage the devices by normalizing the edge data. The solution has been immensely popular with system integrators and building managers tasked with the responsibility of upgrading building with legacy equipment into a modern connected environment. Candi’s ability to provide a secure cloud operations center for customers to manage their assets from multiple locations, through its state-of-the-art smart building solutions, is bound to create ripples in the IoT arena.